More than 650,000 Service members served in Operation Desert Shield and Desert Storm from August 2, 1990 to July 31, 1991. 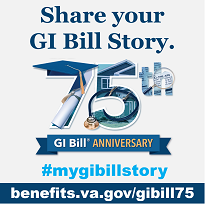 For VA benefits eligibility purposes, the Gulf War period is still in effect. This means that anyone who served on active duty from August 2, 1990, to present is considered a Gulf War Veteran. For example, the Veterans Pension benefit requires service during a wartime period. Therefore, any Veteran who served on active military service for any period from August 2, 1990, to the present meets the wartime service requirement. Medically unexplained illnesses (popularly called "Gulf War Syndrome"). Amyotrophic lateral sclerosis (ALS) diagnosed in all Veterans who had 90 days or more continuous active military service. Gulf War Veterans may still seek to establish service connection individually for other, "non-presumptive" diseases and illnesses related to service in the Gulf War. Learn more about qualifying for disability compensation for non-presumptive conditions on the Compensation website.